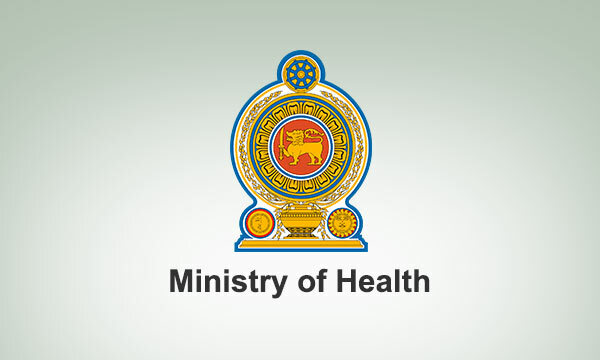 Ministry of Health, Nutrition and Indigenous Medicine has taken steps to issue an electronic health card which includes a personal health record with an individual identification number to each of the 21 million Sri Lankan citizens by the year 2020. The Ministry of Health announced that the issuing of e-Health Card to public will commence tomorrow from Kalutara district under the patronage of the Minister of Health, Nutrition and Indigenous Medicine Dr. Rajitha Senaratne. The e-Health Cards will be issued to the people at 9 am at the Kalutara General Hospital, at 11.00 am at Beruwela Base Hospital and at the Bandaragama District Hospital at 1.00 pm.The e-Health card is introduced with an overseas investment and in the first stage cards will be issued from 200 hospitals.The e-health card program in Sri Lanka will be run by the same company which provided the e-Health cards to the people in Andhra Pradesh of India. On a concept of the Minister of Health, all island wide hospitals have begun computerizing the health records of the patients. By the end of 2019, the Minister intends to computerize 300 hospitals.The Minister says the e-Health Cards will be provided to all the 21 million people within 6 months.The objective of this system is to create a unique individual health report for every citizen and further strengthen the health information management system. The card stores the individual patient’s medical records and other data. The Health Minister emphasized that since the patient’s complete medical reports are stored on the e-Health card, any doctor anywhere in the country can immediately provide treatment to a patient. The Minister further stated with the introduction of new technology, the people will be provided with services promptly.The Minister has advised the Director of Information Technology at the Ministry of Health Dr Indika Jagoda to take measures to solve any problems that are expected to arise in issuing e-Health cards for two months. Accordingly, one doctor will be assigned for 10,000 people and all the patients will be examined within a year to identify their health problems. After the initial examination, every person should have a medical checkup every six months and the medical reports will be included in the e-Health card, the Minister explained.The e-Health card was formally introduced at the World Health Day Celebration last year. President Maithripala Sirisena and the Health Minister Dr. Senaratne received their e-Health cards at the occasion.